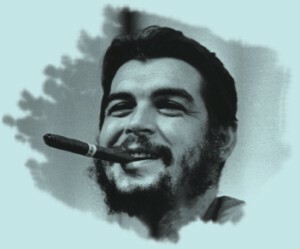 Forty years since his death Che Guevara is still relevant, but to the average person the real question is why and who is he, of all people to be relevant in today's world. The answer to that is multi-faceted, to the millions of Marxists and left-leaning people around the world he was the last great revolutionary, a man who lived and died for his cause. To others whether they realise it or not he was the first voice of dissidence against the all encompassing US imperialism and his related literature in the field of economics, society and guerrilla warfare is second to none. The French existentialist philosopher Jean Paul Sartre even went so far as to say he was "the most complete human being of our age". But to really understand his importance and relevance today we need not look further than the confines of our country. He fought tirelessly for the peasants, their rights and their emancipation, in a country with 100 million living in rural squalor he truly is a relevant voice.